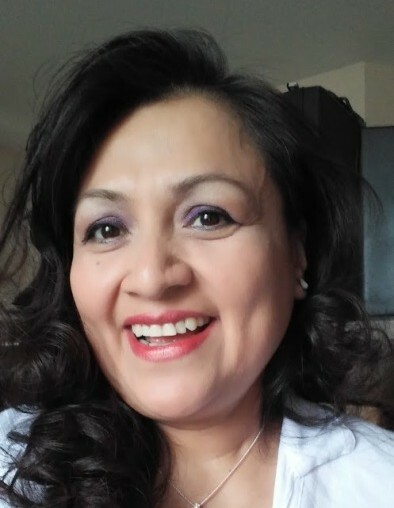 Our beloved daughter, sister, aunt, mother, abuela, wife, passed in peace Sat, April 6, 2019, at the age of 50. Proceeded in death by her grandma Gloria Gonzalez, and aunt Mina Cook. Survived by her husband, Brian Nash, mother Beatriz Minerva Hernandez Lamma, step-father David Lamma, and father Hipolito Rivera, Daughter Lucelly Beatriz Atwater (Abel) and four grandchildren, Son Enrique Nuñez (Nicole), sister Gloria Rivera (Alfonso), Brother Daniel Rivera (Zayda). Further survived by aunts, uncles, nieces, nephews, and cousins. serving others through translation, party planning & decorating, making cakes, authentic Mexican cooking, and spending quality time with loved ones. Services will be held Wed 4/10/19 at 11am at the Church of Jesus Christ of Latter-day Saints chapel located at 2515 W Ustick Rd, Meridian ID, 83646.